In the current environment of reductions to public services and the emerging localism agenda innovative and original responses will be required to manage and conserve the historic environment. 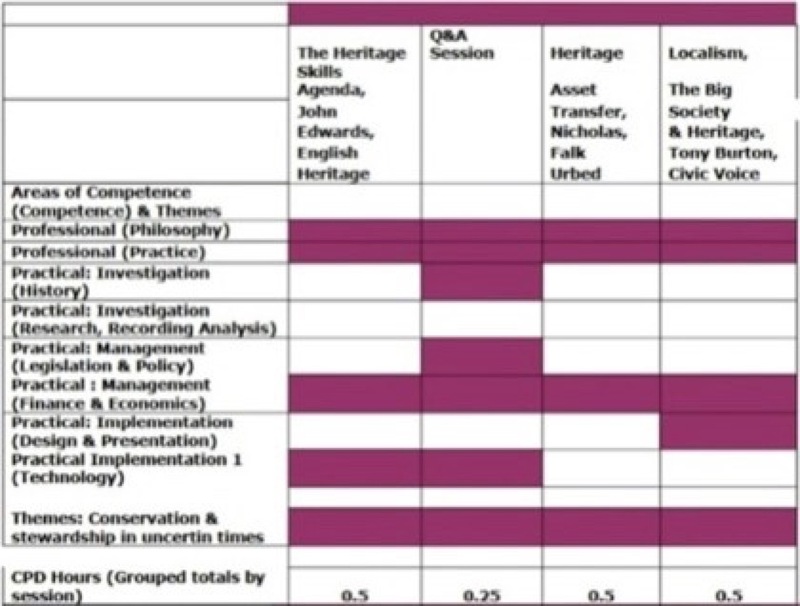 The 2011 Annual School explored the range of opportunities, approaches and solutions to conserving the historic environment in the light of the current financial climate. The School looked at the challenge of conservation in uncertain times and examined ways in which we can respond positively. The event provided the opportunity to hear about current initiatives and new approaches, to gain insights from recent projects and to consider ways of adapting and enhancing our historic environment in the future. Although the event is organised by the IHBC and is a key annual event for its members it does not exclusively provide training for IHBC members only. The Annual School continues to provide important training opportunities for those outside the Institute. In 2011 22% of the School delegates were not members of the IHBC demonstrating its wider appeal. The IHBC Annual School helps members’ meet the IHBC’s Areas of Competence and maintain these competencies. These Competences are the key membership criteria of the Institute and Annual School programmes are developed to cover as many aspects of them as possible. The Competences are shown in the table below (with more information available at link). The Areas of Competence are, however, equally relevant to non-members, conservation professionals and other built environment professionals. The Professional Area of Competence informs and shapes conservation advice and conclusions, and is the most important and most challenging for applicants. The Practical Areas of Competence correspond to how we achieve conservation, by evaluating, managing and, as appropriate, changing places. 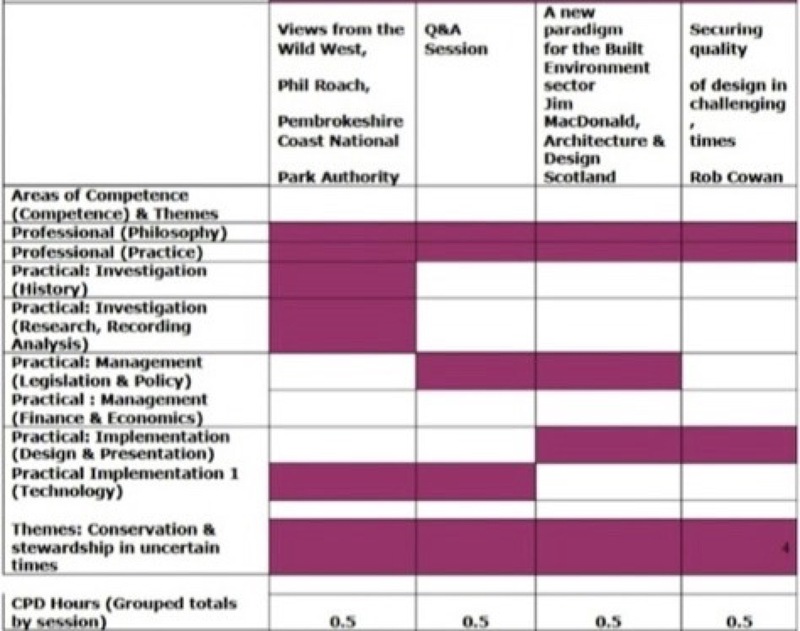 These Practical Areas correspond respectively to cultural disciplines such as history or archaeology; to ‘place management’ and regeneration specialisms such as planning; and to design and technical solutions provided by architectural, engineering, urban design and project management skills sets (http://www.ihbc.org.uk/skills_support.htm). 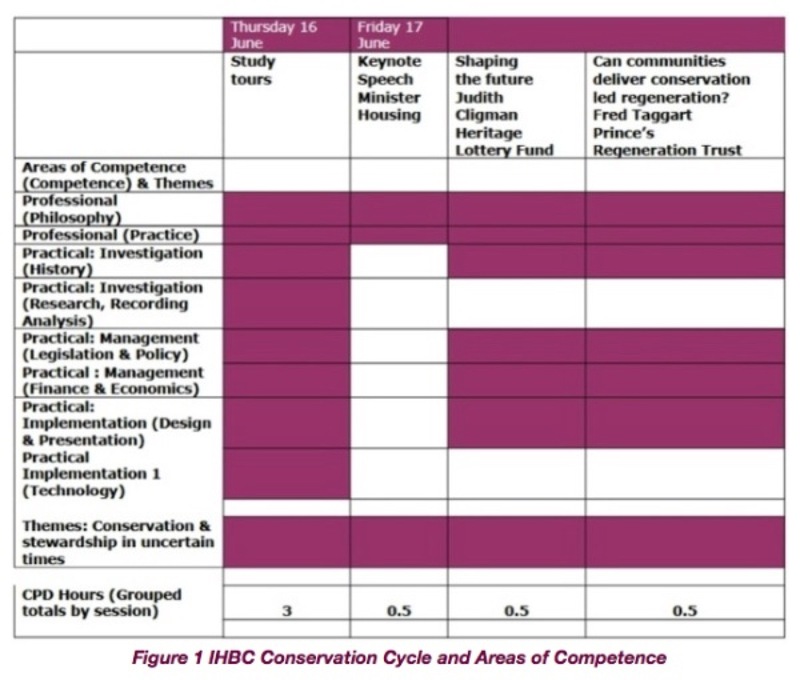 The matrix below (figure 2) explains how the 2009 Annual School provided training to meet the IHBC Areas of Competence and also dealt with the theme of the school. 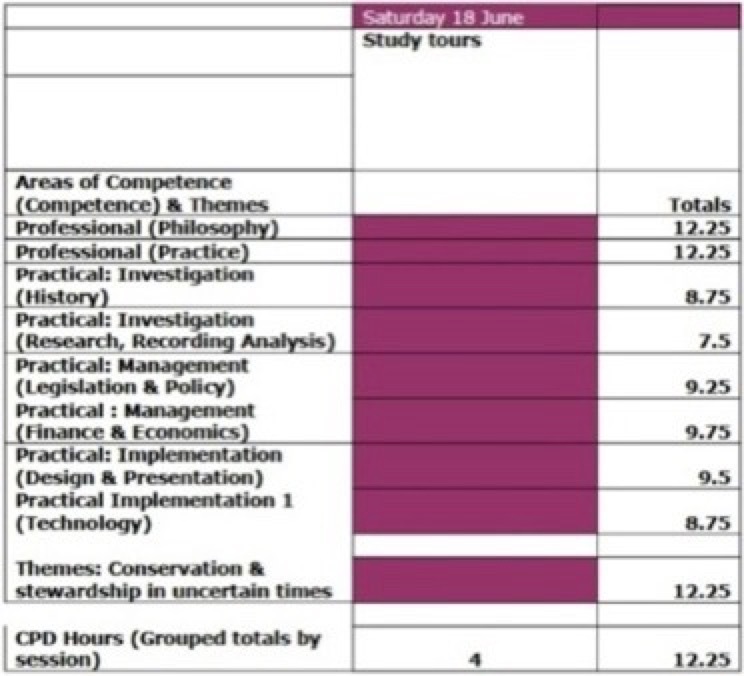 It shows that the Annual School sessions provided training options to cover all of the IHBC Areas of Competence whilst giving specific training on the School theme of “Conservation and stewardship in uncertain times”. 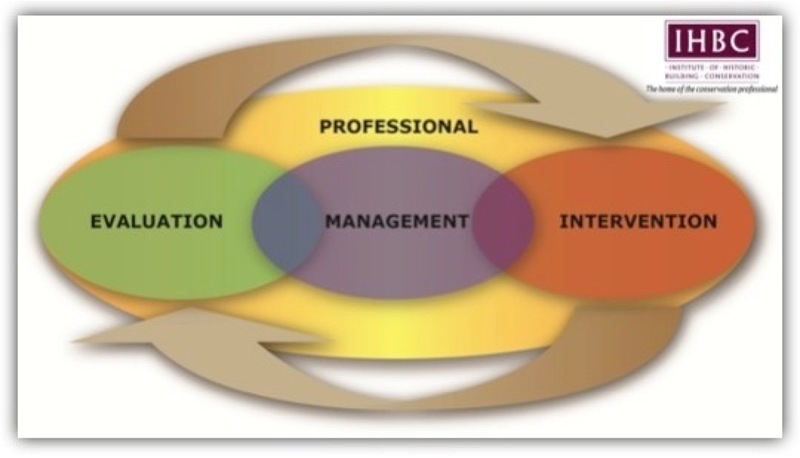 It is possible using the various options available for delegates to further develop all or some of their competences. 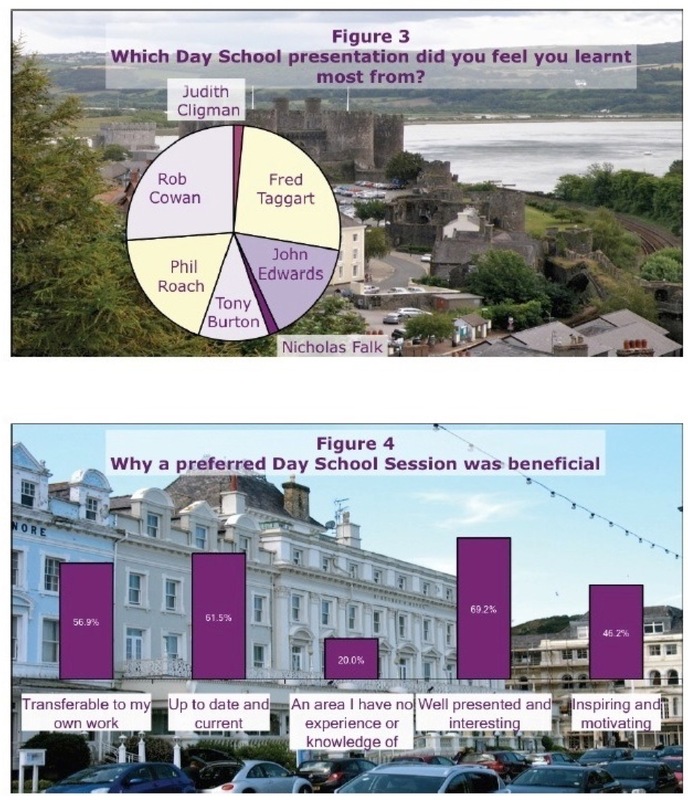 Delegates were asked to give details of the Day School presentation or class they felt they gained the most from and the results are shown in Figure 3. Overall the presentations were complementary and I learnt something from all of them. All of the talks were generally very informative and useful. A really good mix of speakers. I wasn't bored at all. Much challenging food for thought! Delegates were asked to rate the organisation of the conference and the booking arrangements. 98.5% of delegates rated the organisation of the School as good or excellent (see figure 6). The IHBC organisers were helpful, friendly and approachable. The whole event was fantastically well organised, including tours. I thought the IHBC and Branch conference teams did a great job and worked together seamlessly. 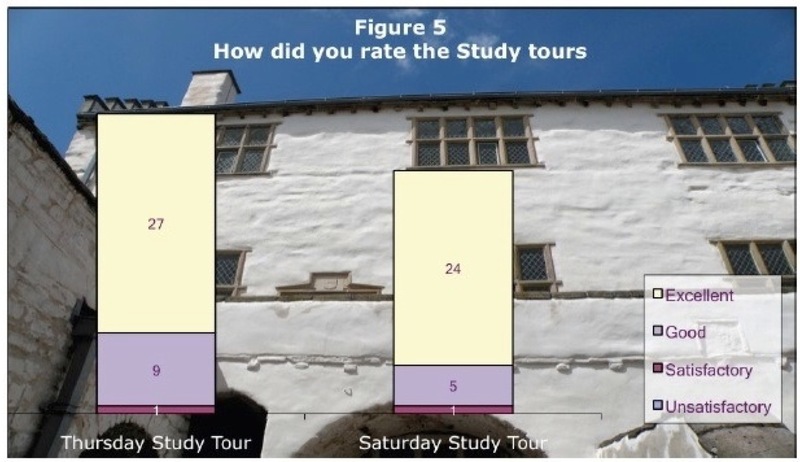 Delegates rated the school venue highly with 89% feeling it was a good or excellent venue and none feeling it to be unsatisfactory (see figure 6). The booking arrangements were likewise rated as good or excellent by 97% of delegates. Delegates rated the overall experience they had at the conference and its usefulness very highly with 94% rating it as good or excellent. (See figure 7). There were plenty of opportunities to network and catch up with colleagues. The networking opportunities were great. Annual Schools are as much about networking and meeting new friends as getting the best out of the arranged speakers and trips so it is important that the right balance is struck to enable sufficient time and opportunity for this to happen. At Llandudno the balance was about right, assisted by having more or less everyone at the one venue. As someone new to building conservation the Summer School was a really valuable opportunity to more fully understand current issues and to meet a wide range of people working in the field. The study visits were a great opportunity to meet people and a lot of what I learned came from fellow delegates as we wandered around - there were so many very knowledgeable people there! The social and networking aspects of the Annual School were very well received and 89% of delegates rated them as excellent or good. The generally high level of satisfaction is backed up further by the very encouraging data in figures 9 and 10 which reveals that 94% of delegates felt the School met their training requirements completely or sufficiently and that 98% felt the School was invaluable, very useful or useful. The proceedings of 2011 Annual School have been described in some detail in Context the journal of the IHBC (Issue 121 September 2011). 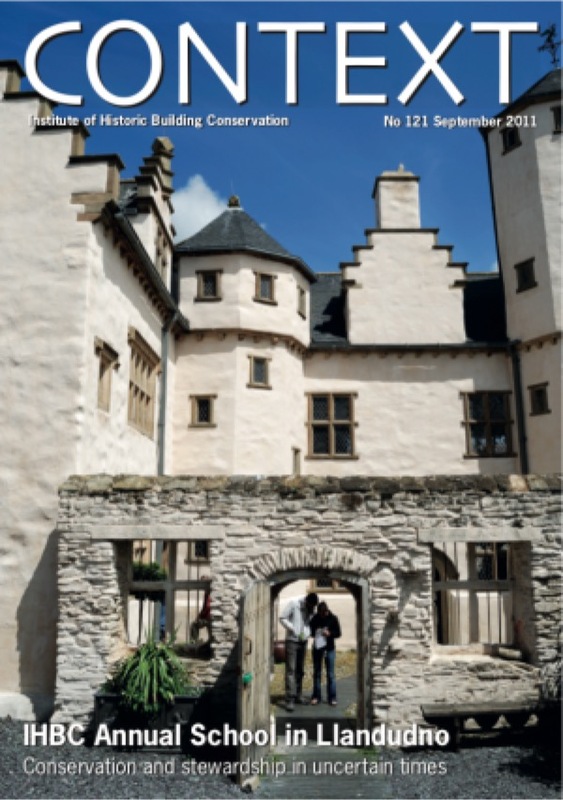 The successful delivery of the 2011 School has reinforced the importance of the IHBC Annual School in the annual training calendar of conservation professionals and provided the opportunity for delegates to obtain quality, focused Continuing Professional Development.